Trent Carlini is the ultimate Las Vegas performer. Doing Elvis like you've never seen him done before Trent Carlini performs as the headliner in The Musical History of the King at the Sahara Hotel and Casino six nights a week. 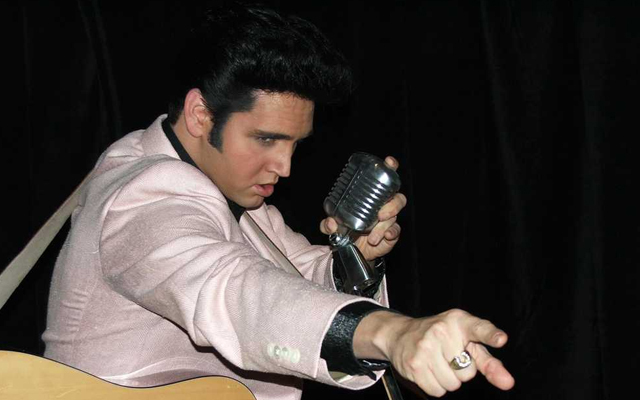 This show chronicles everything from the early days of Elvis until his moments in Las Vegas. 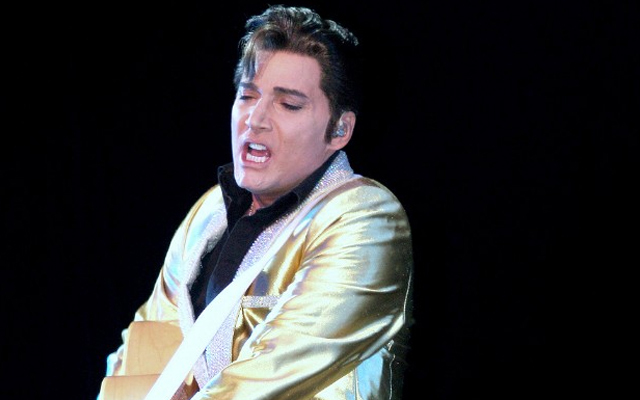 Through wardrobe changes and multiple performances you will go through Elvis' life on stage. Carlini will perform such songs as "Shake, Rattle, and Roll" and "Don't be Cruel". He also offers the military days of Elvis and some time in his patented white jumpsuit. 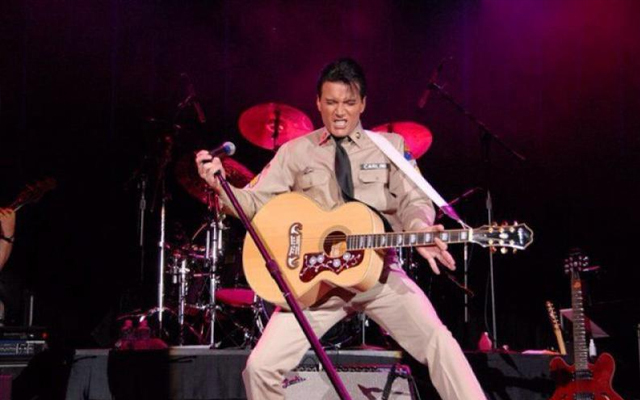 Trent Carlini knows all it takes to be Elvis as he was a former headliner in the Legends in Concert series for four years. This show is suitable for children five and over so it's perfect for the whole family. Reservations are suggested as this is one of the most popular Elvis shows in town. If you go to Vegas be sure to see Trent Carlini Ive been an Elvis fan for years and Im an Elvis Tribute Artist my self Ive seen many Elvis Entertaners but none like Trent Carlini He is just the best the ETA world has out there I loved his show and I cant wait to go back and see it again. We saw Trent 2 years ago at the Sahara. It was the best show on the strip. Fantastic Elvis tribute. I fell in love with Elvis, all over again!. I was very impressed ,i am an older elvis performer ,and i enjoyed it far more than i expected . great show!!. I had the great pleasure of seeing Trent at the Sahara in May 2008. What a fantastic experience, definately a must see. Would absolutely go again and see Trent should I get the chance. Great tribute to Elvis. A must see if you are an Elvis fan. Great show! Saw Trent in dec ., the show was excellent he looks and sounds just like elvis a must see if your in Vegas!!!!! Let me start by saying, Being an avid Elvis fan I really enjoyed the show. Trent did a great job bringing back Elvis memories. However when you go to a show like this you expect to escape reality for a while. The very end of the show Trent brought politics up. We all have our individual views, cant we leave them out for even one evening so we can forget everyday issues. I think this is a part of the show he needs to eliminate. Otherwise it was a very entertaining evening. The show sucked! He did not know all the words to the songs and it seemed as the he was not really into it....the singing was off key and sometimes down right horrible. Thank god the tickets were free the only part is I can never get that time back. He needs to rethink his show and I really thought the dancing between sets was not needed nor do I want to see his wedding photos as part of the show. Hopefully he will revamp this act.